Refrigerators that double as Barbeques? Not a hallmark moment in industrial design, apparently. Nor, it seems, a feature appreciated by consumers. This week, Dometic, maker of these particular refrigerators, got hit with a seemingly long overdue defective products class action lawsuit alleging the fridges can spontaneously ignite on boats and RVs. Gotta love that action. It could definitely put a damper on cocktail hour. According to the complaint, not only have the plaintiffs lost money on the cost of the refrigerators, they have also had to pay hundreds of dollars to repair or replace their gas absorption refrigerators after the defendants’ failed attempts to fix the defects. “Defendants have used and manipulated the recall process to conceal the true dangers and safety risks inherent in their defective gas absorption refrigerators from both federal regulators and consumers. As a result, United States highways and campgrounds are flush with RVs containing defective gas absorption refrigerators that can, and with alarming regularity do, spontaneously burst into flames,” the suit states, noting two recalls issued by Dometic. 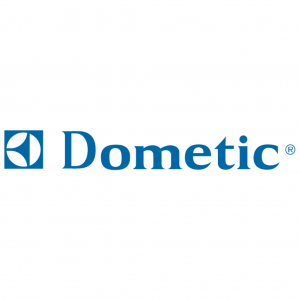 The plaintiffs are seeking repair or replacement of their defective refrigerators and compensation by Dometic to consumers for the diminution of value of their RVs and boats. From the sounds of it, they’re quite fortunate no one was killed. Vroom, Vroom, er…or Not. Mazda did not escape the week unscathed, as it found itself on the receiving end of a defective automotive class action lawsuit alleging certain of its vehicles have defective clutches. Ok—I’m pretty sure those are meant to be in good working order at all times. According to the suit, the defect represents a significant safety risk to both drivers and passengers, the plaintiffs assert. Yup. Filed by Megan Humphrey, Iris Gonzalez, Charles Bunch, Anne Stom, David Woodward, Greg Thomason, Lisa Massey and Dan Carney, individually and for all others similarly situated, against Mazda Motor Corporation and Mazda Motor of America Inc., the Mazda complaint alleges model year 2010-15 Mazda 3 vehicles with 5- or 6-speed manual transmissions contain defective clutch release levers, bearings and pins. Where do you start? The plaintiffs state in their complaint that the defect causes premature wear to the vehicle’s manual transmission and related components, ultimately resulting in premature clutch system or transmission failure. The lawsuit cites breach of express and implied warranties and violations of consumer protection statutes in California, Texas, Florida, Maryland, Washington, Pennsylvania and Connecticut. Not a Kodak Moment? One for the little guy this week—who was accused Eastman Kodak of pawning off dodgy stock to their employees. The company reached a $9.7 million settlement in a securities lawsuit brought by former and current employees, who allege Kodak should be held liable for continuing to offer Kodak stock as an investment option even though the company was in extreme financial distress, and therefore making its stock a risky investment. Very nice. The lawsuit stems from Kodak’s 2012 bankruptcy filing, involving participants in the company’s savings and investment plan for employees and the Kodak Employee Stock Ownership plan. The class action includes over 21,000 people. The Kodak employee stock agreement is still subject to a fairness hearing scheduled to be held this August. The settlement includes costs and attorneys’ fees. People affected by the settlement do not need to do anything in order to get whatever money is owed them.